Widely recognized for her multi-award winning “Macsen’s Treasure” series, Kathleen Cunningham Guler reintroduces readers to its beginnings. Combining legend and actual history of fifth century Britain, Guler brings to life the pre-Arthurian time of 459 AD. With every chapter, an awakening sense of place, time and culture engages the reader, and the emotional wholeness of the story’s characters achieves a convincing reality. Marcus ap Iorwerth spies for a clandestine alliance that will depose Vortigern, the man whose hired mercenaries have killed and displaced the old landholders. With the Romans long gone and lands divided among 29 warlords, Britain lies open to invasion, from Picts in the north, Irish from the west, and Germanic tribes from the continent. Marcus, while on a mission to identity those who would prevent the rightful King Ambrosius from ascending to the throne, meets the young woman Claerwen. Her clan has been victimized by Vortigern’s men. Claerwen’s gift of visions, known as “fire in the head,” adds a mystical quality to the ongoing battle for power. When word comes of Marcus’s death, she refuses to accept what the world around her would have her believe and embarks alone to find the “other half of my soul.” As they journey into the path of gods, Marcus and Claerwen come to understand where destiny is leading them, and the name she has been hearing in visions. 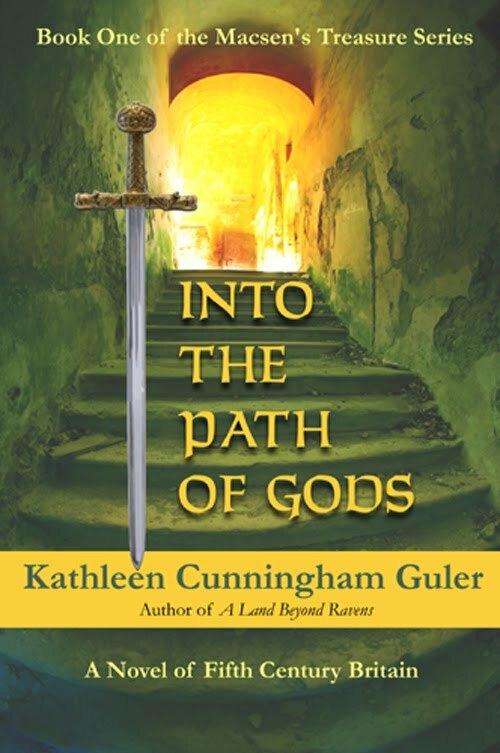 Guler’s historical fiction gives the reader more than a well-told, captivating story of adventure and love. In a time when lawlessness and suspicion pervaded among the ruling power, an unquenchable desire for something better remained strong. This book leaves the reader with that hopefulness, a welcome feeling in today’s world of apparent disarray.